SORRY FOR BEING M.I.A, BUT IF YOU'VE BEEN FOLLOWING ME ON INSTAGRAM YOU'LL PROBABLY KNOW THAT I'M CURRENTLY ON MY BELATED HONEYMOON IN GREECE - WHICH I HIGHLY RECOMMEND. IT'S BEEN AWHILE SO I JUST WANTED TO CHECK IN AND SHARE THIS OUTFIT SINCE IT'S ONE OF MY FAVORITES. 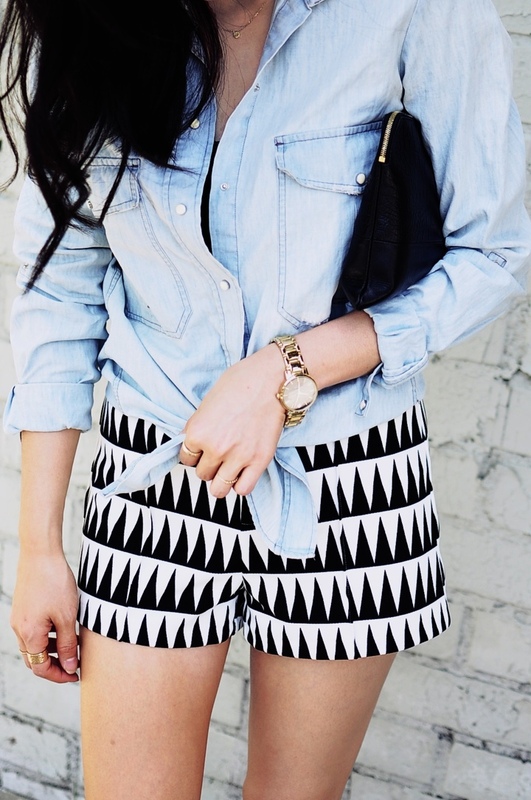 I'M DEFINITELY NOT A HUGE LOVER OF PATTERNS, BUT THESE SHORTS DEFINITELY CAUGHT MY EYE. PERHAPS IT WAS THE BLACK & WHITE COMBINATION BECAUSE YOU CAN NEVER GO WRONG WITH THOSE TWO COLORS. 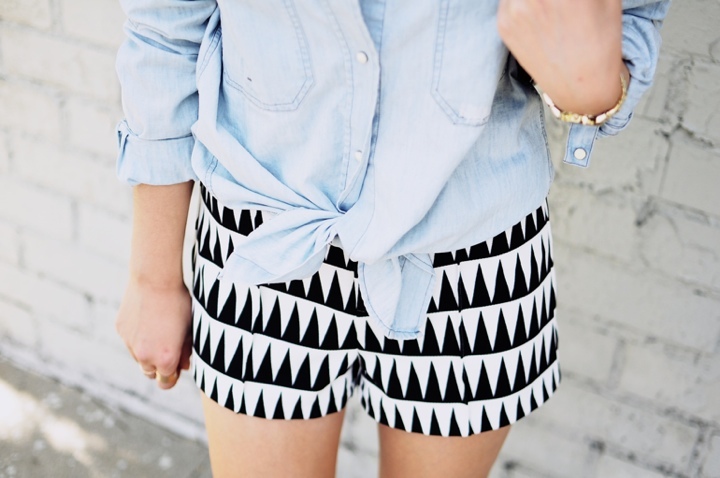 AS PLAYFUL AS THE SHORTS WERE I DECIDED TO GET PLAYFUL UP TOP BY PAIRING IT WITH A CHAMBRAY SHIRT BY TYING THE ENDS. 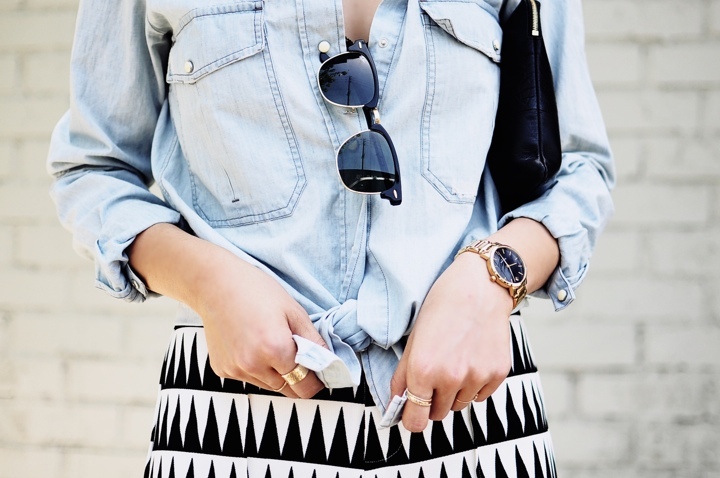 IT TURNED OUT TO BE THE PERFECT PLAYFUL WEEKEND OUTFIT. Curious, what size is your Ray Bans? 51mm or 49mm?